READING, PA (April 4, 2019) – A dozen residents from Bethany Children’s Home enjoyed a beach vacation courtesy of a grant awarded by the First United Church of Christ Mission Fund of Berks County Community Foundation. Bethany Children’s Home is a group home/campus for youth who have been through trauma and have been removed from their home settings. The nonprofit organization helps youth with their coping, social and daily living skills to set them up for success moving forward. When the Community Foundation awards a grant, the recipient is required to submit a report about how the money was used. Bethany Children’s Home recently submitted its report. Twelve youth that reside at Bethany Children’s Home enjoyed a two-night three-day trip to Ocean City, Maryland. For many of our youth, the chance to go to the beach or even on vacation was never an option. The ability to give our youth that chance has become a tradition, one that our youth look forward to very much. Guidelines and eligibility expectations for our youth are distributed at the beginning of the summer. Youth that wish to participate in the trip must meet all outlined expectations. The trip itself consists of going to the beach while staying overnight in a hotel for three days… While at the beach, youth get the opportunity to relax, collect shells, walk the beach, swim in the ocean, walk on the boardwalk, [and] check out the souvenir shops and other attractions. During the day, the whole group spends their time on the beach. For many, the vastness of the ocean is something they cannot fathom, and seeing it, and swimming in it, is truly something they will never forget. While at the beach, the group also goes out to dinner both nights. For some, placing an order with a waiter or waitress is a learning experience, one that many of us take for granted. Staff help youth who need it and encourage each one to order for themselves. This serves as a teachable moment for future life skills and social situations. After dinner, our youth get to see what attractions the boardwalk has to offer. Many youth come with their own money to spend and Bethany Children’s Home provides all our youth with additional spending money for the trip. Staff help youth with budgeting and planning over the two nights… As a treat, the programming department purchases them all tickets for the amusements on one of the nights. The staff keep everyone together as they ride the rides as a bonding experience for all involved. The funds from the grant have been spent on booking the hotel, entertainment, and food for our youth. We provide our youth with two sit down dinners, two evening snacks on the boardwalk, and two meals during travel. The kitchen staff at Bethany Children’s Home purchases lunch and breakfast supplies for the trip. The goal of this trip each year is to give our youth who have earned it the opportunity to leave their worries and trauma for a few days. We strive to give them each a glimpse of the broader world, a small dose of normalcy, and the chance to do and see something they may never get to again in the form of a vacation away from placement. Staff chaperones use the teachable moments during the trip to help each youth with life skills, [such as] budgeting, ordering food, time management and social appropriateness. In 2017, after 264 years at 611 Washington St., the First United Church of Christ historic building was given to Reading City Church. 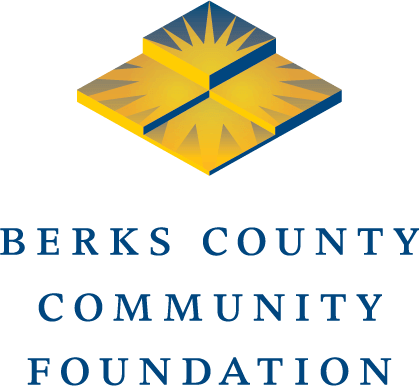 The First United Church of Christ’s endowment was transferred to Berks County Community Foundation so that the church’s mission can continue. The fund awarded an inaugural round of $36,900 in grants to 10 organizations in 2018.